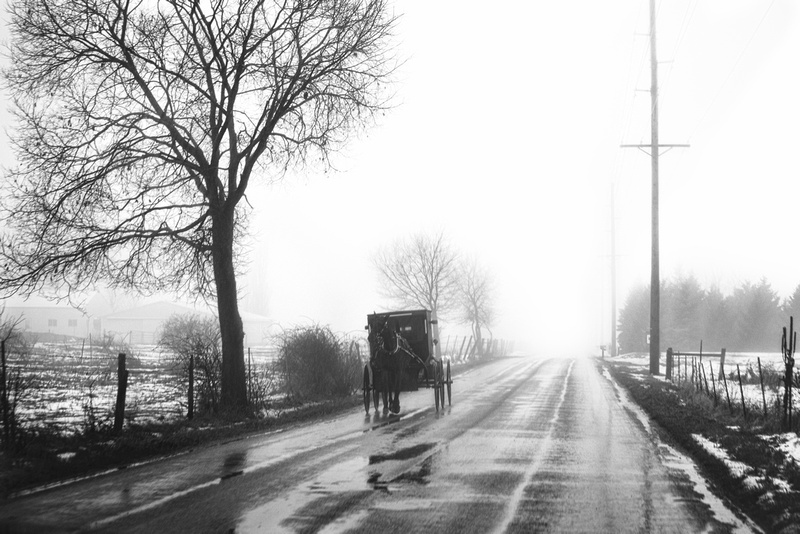 "From the Light" is the title I came up with because I likely have many pictures that say "Amish Buggy Foggy Day". This was a difficult image. I almost didn't post it. Many "buggy pictures" have the same issue, in that the horse is black and the buggy is black and the detail of the horse tends to disappear into the buggy. And it is worse when the subject is back-lit as is the case here. So I played around with the buggy to get the horse to stand out a little without things looking too unreal. 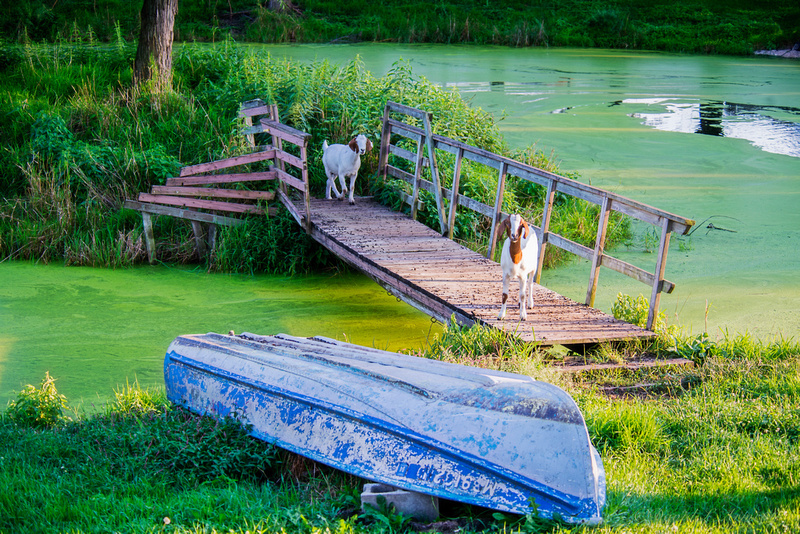 What save the picture is the overexposure in the background and the underexposed features in the foreground which gives the shot an unusual "feel" and moody / surreal type feel. I worked with those ideas / elements for some time and had some of the background poles disappear along with some of the overhead lines in the "fog".